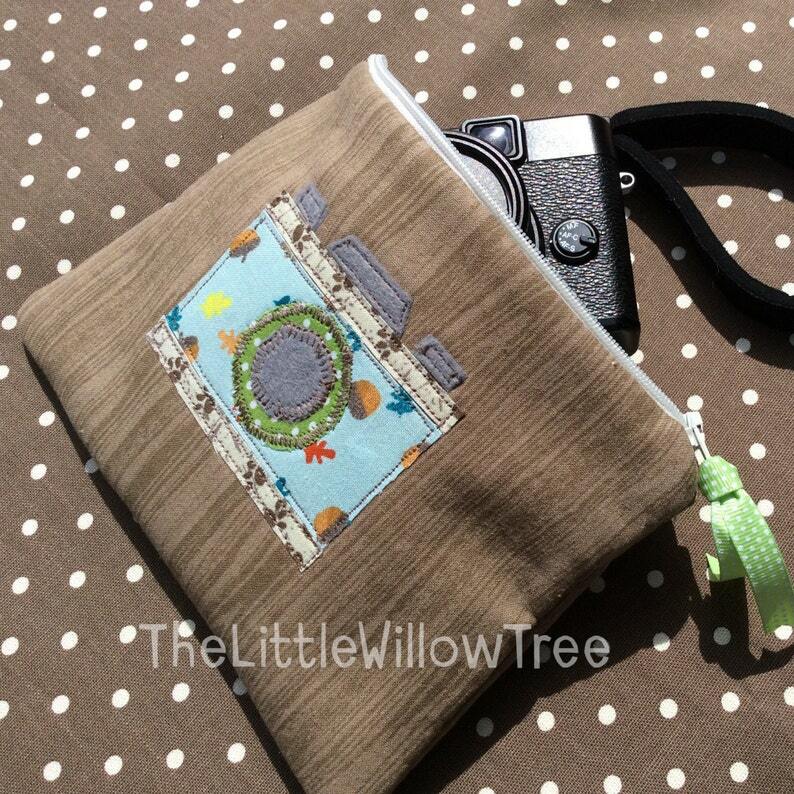 Handmade fully lined zipper pouch perfect for a small size camera or other items. Exterior fabric is brown wood effect, the lining is a fun fox fabric. Camera isn't included in the listing and has been used for photography purposes only. Postage is second class as standard, please contact me for further postage options.